Jack Frost is a jealous God. This instantly became my desktop image! 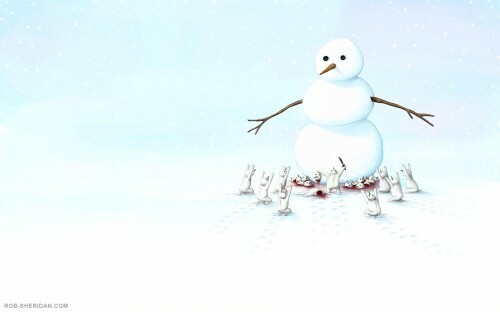 since when do snowmen bleed, have asscracks, legs, or potbellies? and where are the other 13 decapitated bodies? Q: also, what is the difference between snowmen and snowwomen? @natedog: 1. These are guys dressed as snowmen. Or perhaps rats or mini humans or something. 2. They have been carried off, only the heads are needed to be left behind.